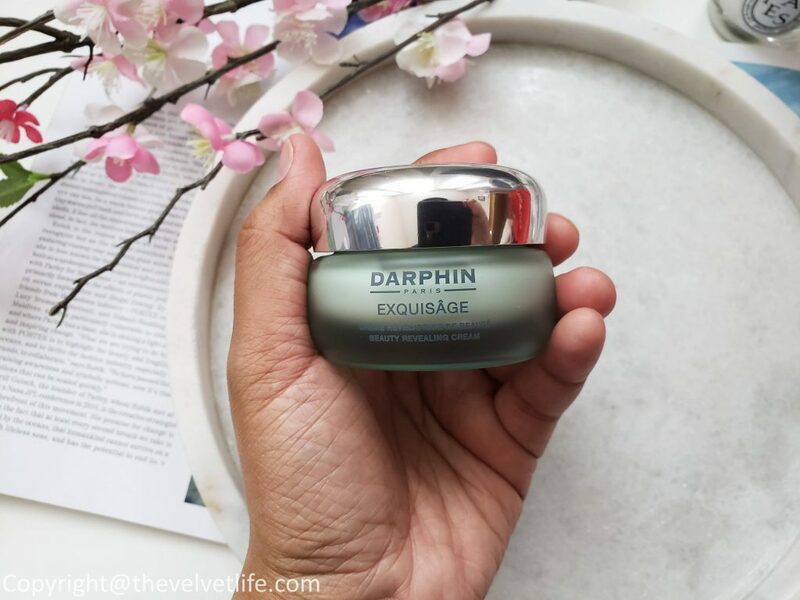 Darphin Paris has some amazing products which work so well for what they are formulated for, which is why there is always at least one product from Darphin in the rotation in my skincare routine every day, there are days when I use more. 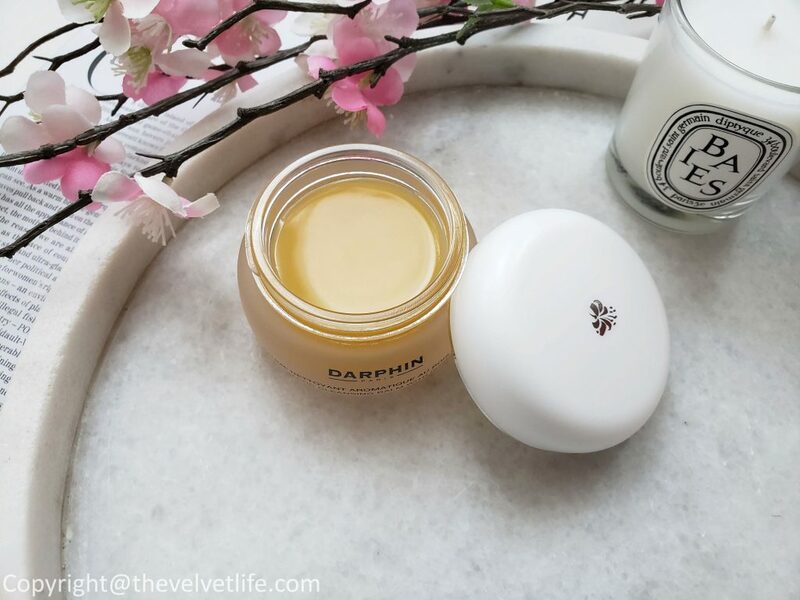 Darphin products have most precious botanicals and natural ingredients, Darphin’s beautifully aromatic formulas offer the perfect blend of pleasure and performance. I have reviewed few in the past which I still love and few I have already emptied. 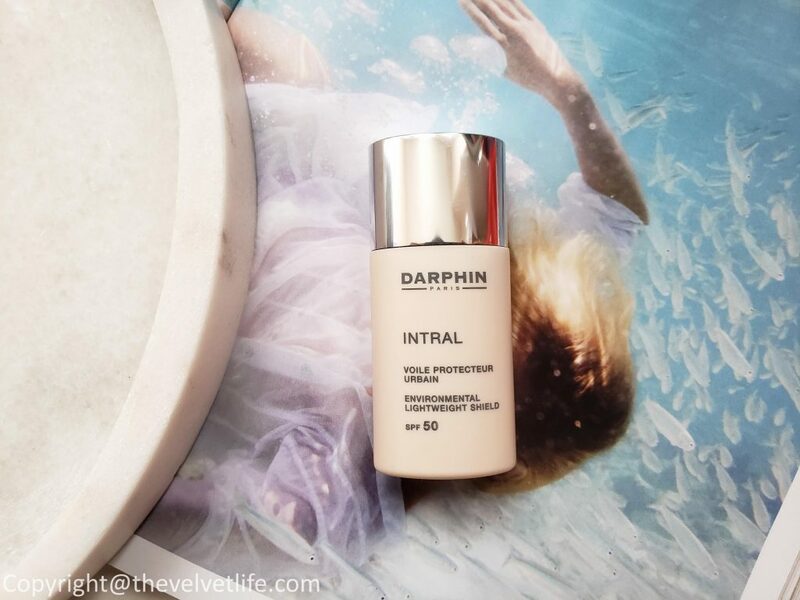 Darphin Illuminating Oil Serum and Illuminating Oil Gel-Cream reviewed here are already empty and they were loved by my skin, so are Darphin Ideal Resource Micro-Refining Smoothing Fluid and Darphin Ideal Resource Smoothing Retexturizing Radiance Cream of which the fluid is empty and the cream is a little left. 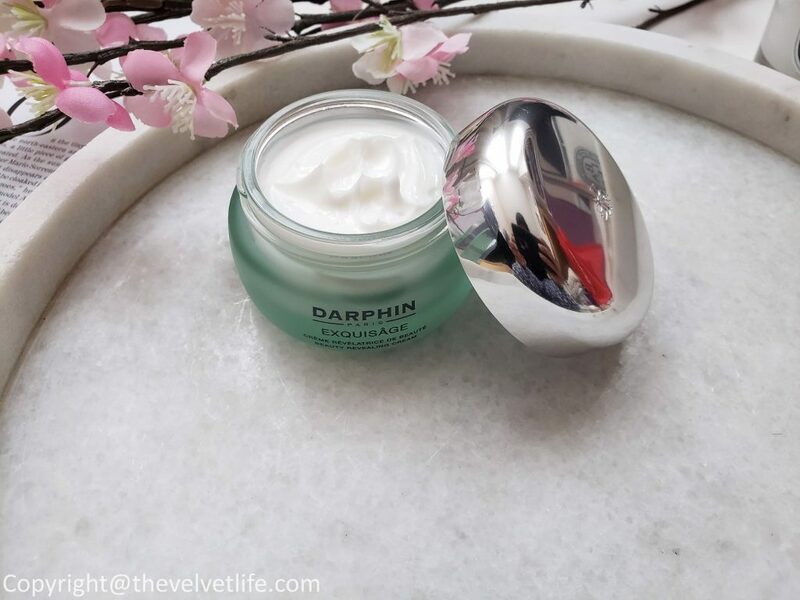 One more favorite which I have recommended to most of my friends, colleagues, and even most of you who asked me by messaging me is the Darphin Stimulskin Plus Multi-Corrective Divine Eye Cream which is hands down one of my favorite eye cream, I still have a little less than half of it and can’t stop having it in rotation. So what I meant to say is I have loved everything I have tried and used from the brand. In this post, I am compiling a few products new to me which I have been testing since February this year and wanted to share with you guys. I have used different cleansing balms and cleansing oils due to my love and passion for skincare and always have a few on rotation. 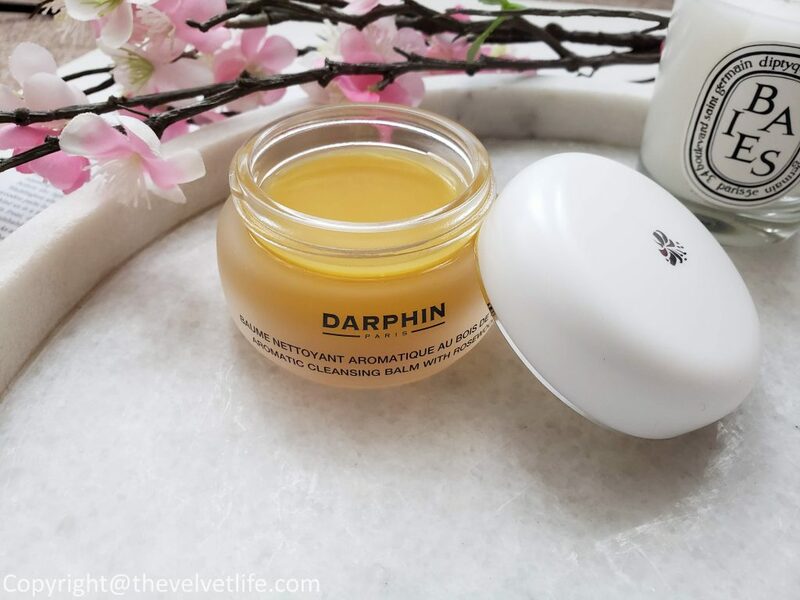 Darphin Aromatic Cleansing Balm is a beautiful product with some really nice ingredients, which not only work to cleanse but also to impart a beautiful glow and relaxing ritual in the routine. The balm melts into the skin to remove the makeup if you are using as first cleanse and to remove impurities if used as a second cleanse in the evening or first cleanse in the morning. The balm has a clean aromatic smell and a little is enough to melt away the makeup, even the mascara in an effective manner. I apply a small amount on my dry face, including eyes and then massage it. If I use it as a second cleanse or as first cleanse in the morning, I do massage it into the skin and then wipe off with a hot cloth. If not using the hot cloth, the oily texture becomes creamy like milk when combined with water and is rinsed well with it. My face feels clean and soft, radiant and no residue. I have used it as a mask too and works so well for deep cleansing and purifying. A little goes a long way, I highly recommend you to check this out for its effectiveness, gentle formula, and results as a cleanser whether you use makeup or not. 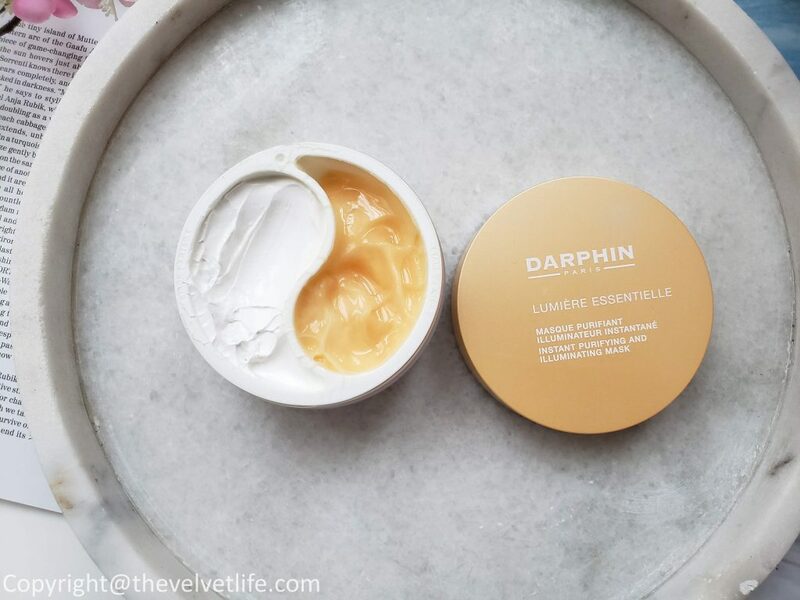 Darphin Lumière Essentielle Instant Purifying & Illuminating Mask is a 2-in-1 mask which has two products in one serving different purposes and works perfectly as a routine. The packaging has step 1 and 2 embossed on it so that it is easy to get started. Step 1: It is the white creamy side of the packaging called Instant Purifying Mask which helps refine skin texture and unclogs pores with Kaolin Clay. Step 2: It is the peachy golden color creamy texture formula called Instant Illuminating Mask which weightlessly hydrates and enhances radiance with Hyaluronic Acid and essential oils of citrus, florals, ginger, and cedarwood. Instantly, skin looks healthy, freshly plumped and blossoms with radiance. I have used it twice and sometimes thrice in a week. It works great on the lazy evenings as well as when skin needs some help with purifying and radiance. I apply the step 1 Instant Purifying Mask on the cleansed skin and then keep it on for 5-10 minutes. I rinse the wash and pat it dry. Then I follow with Step 2 Instant Illuminating Mask and keep it on for 10-15 minutes. Then I massage the rest of the product onto the skin and no rinsing, like an overnight treatment. The masks are not to be applied around the delicate eye area. 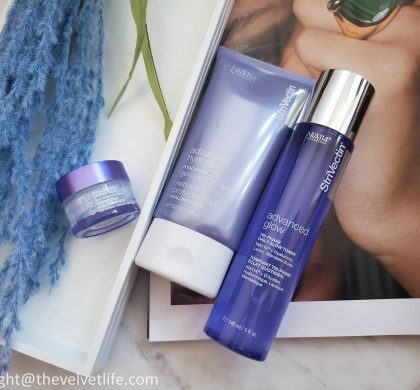 I notice my skin is calm, fresh, and radiant in the morning. The pores look clean and skin feels soft. I have noticed regular masking keeps my skin soft, bright and helps with congestion. 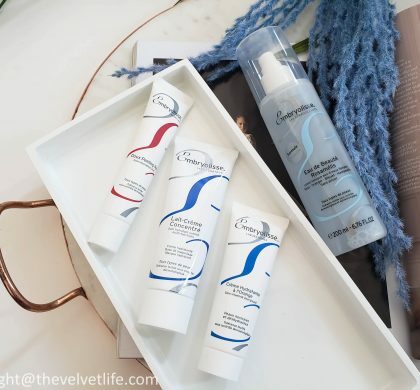 I have used this alternatively with the Ideal Resource until spring but now I have been using the Exquisâge which I think is perfect for all year round. The formula is rich yet light-weight, absorbs fast into the skin, not greasy and does not leaves residue or clog pores. It provides hydration and the skin is soft, calm, and comforting. The aroma is pleasant and uplifts the mood when applying. With some really nice anti-oxidants, it is perfect if you are just starting to take care of your skin or looking for something antiaging or looking for a change from your current moisturizer or cream. This is one of those creams which works for my congestion prone skin. 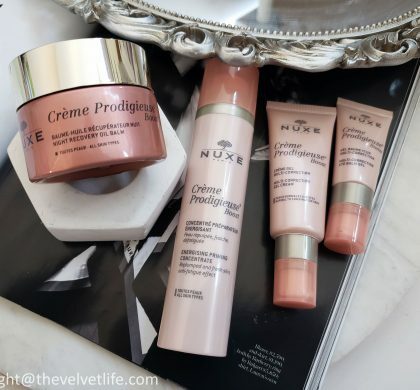 My skin looks radiant, smoother, and more refined with this cream. It works as a nice moisturizer for both day and night. It is lightweight, and absorbs into the skin fast, does not makes the skin oily after a few hours. There is no residue from the product. I notice it leaves the skin glowing, not any white cast. It did not clog my pores or caused any irritation or breakouts. It works great both as a makeup base and as a sunscreen. The important thing is not to forget it to shake well before applying. The oil absorbs quickly and gives the gentlest beautiful glow to the face, hair, and body. In the sunlight, there is subtle sparkle which looks beautiful. It is hydrating and nourishing at the same time. On the hair, it looks beautiful too, slightest shimmer in the sunlight, perfect for the beach or for outings. There is a nice scent which is not overpowering and dissipates shortly after application. 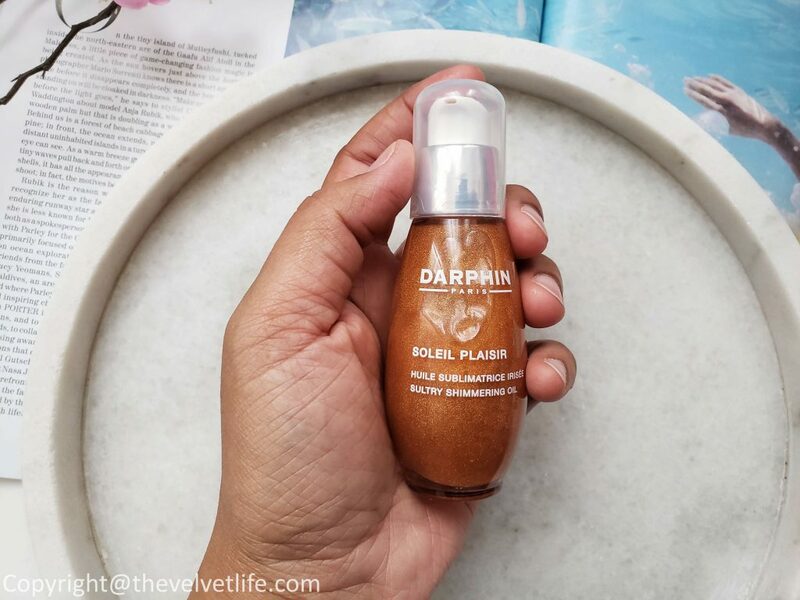 Overall, some nice products from Darphin most of which are cult favorite or best sellers, I would highly recommend you to check this line for your skin concerns or if you have any questions about any of the product I reviewed above or before on my blog, you can always send me a message on my Instagram or in the comments section below. 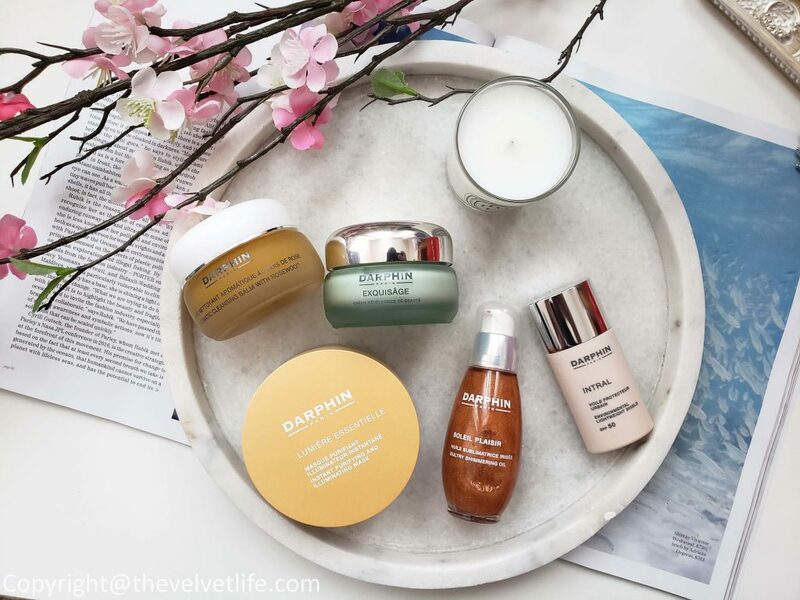 Darphin Aromatic Cleansing Balm with Rosewood, Darphin Lumière Essentielle Instant Purifying & Illuminating Mask, Darphin Exquisâge Beauty Revealing Cream, Darphin Intral Environmental Lightweight Shield Broad Spectrum SPF50, and Darphin Soleil Plaisir Sultry Shimmering Oil are available at Sephora Canada, Beautyboutique by ShoppersDrugMart, Holt Renfrew, Nordstrom, Darphin.com, Neiman Marcus.